Southampton graduate Professor Philip Nelson was awarded a CBE in the 2018 New Year Honours list. Professor Philip Nelson, Chief Executive of the Engineering and Physical Sciences Research Council (EPSRC) has been awarded a CBE (Commander of the Order of the British Empire) in the New Year Honours list in recognition of his services to UK Engineering and Science. 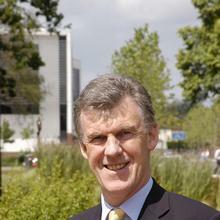 A University of Southampton graduate (BSc Mechanical Engineering, 1974; PhD Sound and Vibration Studies, 1979) and Professor of Acoustics, Professor Nelson served as Southampton’s Pro Vice-Chancellor for Research and Enterprise from 2005-2013. In 2014, he was seconded to the EPSRC. He is also Chair of the Research Council’s Group of Chief Executives. 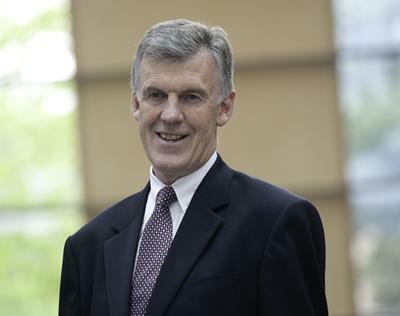 Professor Nelson previously served Southampton as Director of the Institute of Sound and Vibration Research (ISVR) from 2001-2005 and as the founder Director of the Rolls-Royce University Technology Centre in Gas Turbine Noise from 1999-2001. Throughout his distinguished career, Professor Nelson’s work and research has focused on acoustics, vibrations, signal processing, control systems and fluid dynamics. He led Southampton’s submission to the 2008 Research Assessment Exercise and 2014 Research Excellence Framework and chaired the General Engineering sub-panel for REF2014. Professor Nelson is a Chartered Engineer, a Fellow of the Institution of Mechanical Engineers and a Fellow of the Royal Academy of Engineering. He was awarded the 1992 Tyndall Medal (jointly with S.J. Elliott) and the 2002 Rayleigh Medal, both by the UK Institute of Acoustics. The director of a number of spin-out companies, Professor Nelson has served on the CBI South East Regional Council as well as the boards of the University of Southampton Science Park and of the ‘SET-squared’ partnership of Southampton, Bristol, Bath and Surrey universities. He also served as President of the International Commission for Acoustics from 2004-2007.